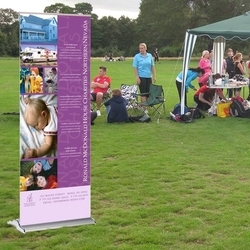 Our V-Trak Retractable Banner is perfect for on-the-go advertising. 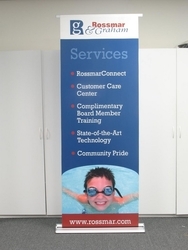 The pull-up banner is ready to go almost immediately - just raise the support pole and pull up the display banner which is housed in the aluminum base mechanism. Take down is just as simple, just roll/coil the graphic into the base and lower the support pole. Order just the hardware, or order a fully printed unit for maximum impact. 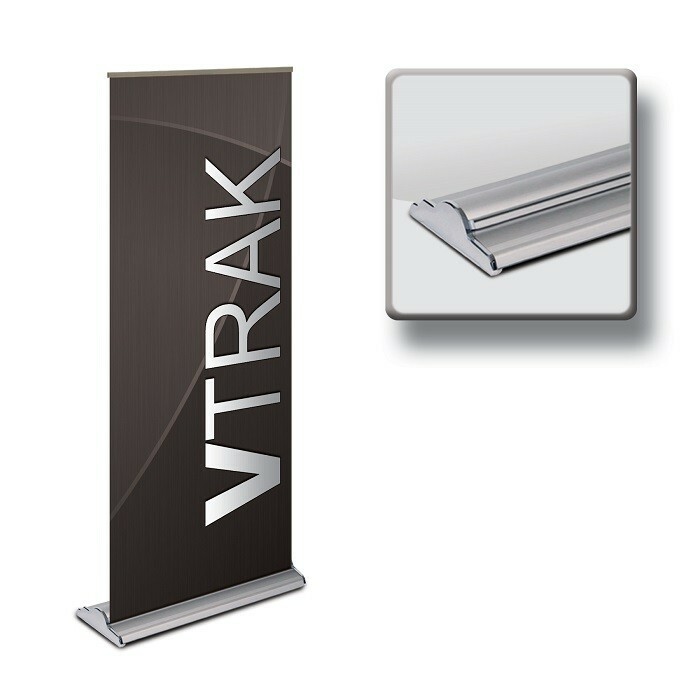 The highest of all our Roll Up Banners the V-Trak retractable banner system stands above all other retractable banner stands. 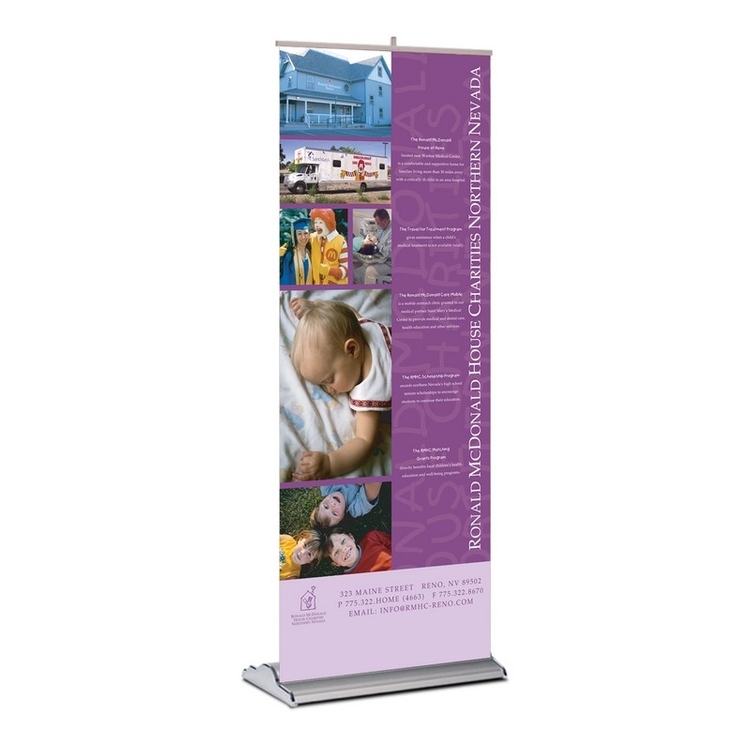 With the wide base and sleek design, you will be sure to stand out as a professional who uses only the best.